Here at Conisbrough Motor Company all of our vehicles leave our used car showroom with a minimum 3 month or 3000 miles (whichever comes first) used car parts and labour warranty. Your used car warranty from Conisbrough Motor Company is designed to help with the bills, which arise when a mechanical fault requires expert repair. It will pay towards the cost of repair or replacement (parts, labour and VAT) should any covered component fail. For peace of mind motoring, protection of your used car includes cover on mechanical breakdown of certain major components. The components covered and any extra benefits are subject to terms & conditions as described in your policy booklet and are also subject to certain limitations in the maximum amount claimable. In addition, some components are subject to an additional premium. Please ask a member of our sales team for further details. 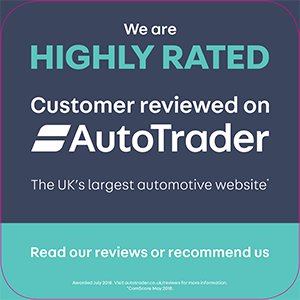 For more information on our used car warranty options or for help with any of our used cars available click here to contact us at Conisbrough Motor Company or to speak to one of our sales team call now on 01709 868 545. We are only too happy to help.